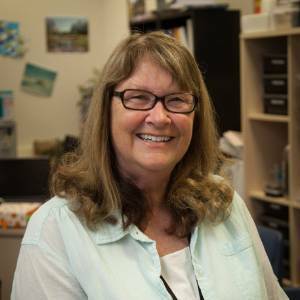 Central California lost a powerful, passionate, talented, influential, and beloved mathematics educator in May of 2017. As a full-time lecturer at California State University, Fresno Department of Mathematics, Diana Herrington taught over 100 Liberal Studies and credential students in the Spring 2017. Alice Keeler, lecturer for the CSUF C&I Department and Diana’s coauthor on the recently-published book, Teaching Math with Google Apps, wrote “She has been so influential in the state of California and the U.S. in the field of teaching mathematics. She has written and been the lead on just about every math exam the state of California has given. She has advised the governor. She is a blue ribbon presidential award winner in the field of teaching mathematics. She has a theorem named after her at NASA. 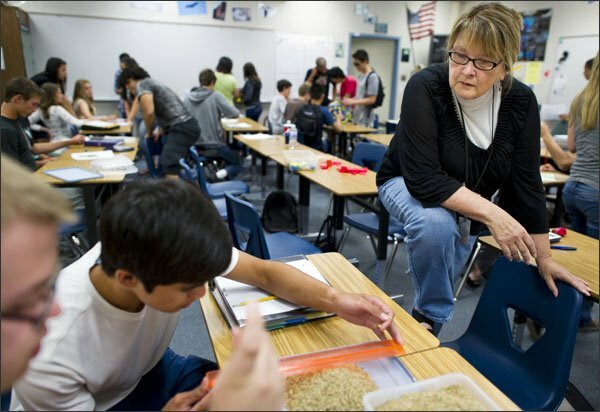 She has been doing some ground breaking innovative work in teaching Math 10A and Math 10B here at Fresno State.” Diana was also active in the San Joaquin Valley Mathematics Project, serving as Co-Director with Carol Fry-Bohlin in the 1990s. Diana served on the California Mathematics Council Central Section as Treasurer for four years. She also served on the CMC state board as the co-chair and chair of the Awards and Recognition committee for four years. Diana served as the California State Coordinator for PAEMST Awards as well. Diana’s influence lives on through others. Geoffrey Dean, a former student and colleague shared these thoughts: “Diana Herrington changed the way I approach educating people. I had the privilege of knowing Diana in many different lights. She was a teacher, a mentor, a master teacher, a professional colleague, a coach, and a friend. Anytime something needed to be talked out, whether as a student or a teacher, she would go with me to the board. Thinking always worked better there for some reason. Diana always challenged me to look beyond my own understanding and put myself in the shoes of those I was teaching. ‘Kids always come first,’ she would tell me. She had a heart of gold and a passion for her students. She has taught me to never stop learning, never stop inspiring, and never stop teaching. She is still inspiring me today.”.